The adhesive used might be unsuitable for the particular area. It may thus break down and or not bond with the tile and the substrate. Care must be taken to use the correct adhesive especially for tiles laid over timber floors. Leaving the adhesive too long before placing in the tile could also cause this problem. This causes the adhesive to dry or skin and thus it cannot bond. Using inadequate amounts of adhesive also lead to this problem. When it is dabbed down rather than spread out, it leaves hollow areas and with time will become loose. To fix a loose tile you’ll need to get some glue underneath it so that it can hold the tile down. This can be done without taking out the tile and replacing it. The first step is to puncture the grout in a few places so that you’re able to inject the glue underneath the tile. 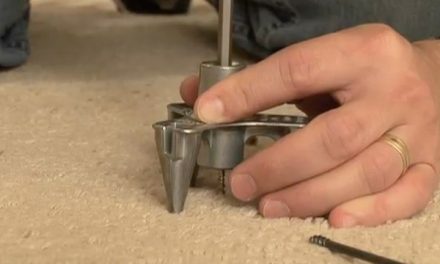 While it is recommended that you use a drill bit for this purpose, sometimes it isn’t practical. This is because it might damage the other tiles. A grout saw or a razor blade will get the work done though you’ll take longer. Use the blade to get the grout out all around the tile. Then vacuum off the dirt and dust. Next you’ll need a caulking gun to hold in place the glue that you’ll be using. Select glue that is suitable for the kind of floor you have. 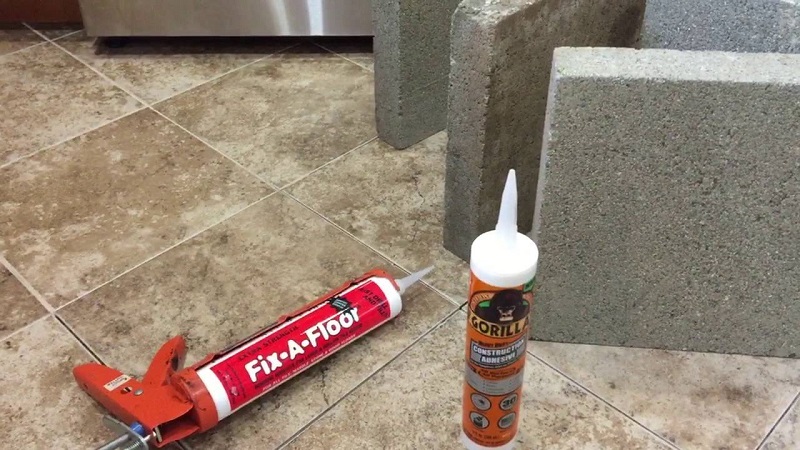 Some glue can work on all floors while some comes designed for specific floors. Using the caulking gun lay the glue along the grout lines all round the tile. Then let it seep down under the tile before adding more. You can press it into the line with your finger or the razor blade you used to remove the grout. Keep wiping off the excess glue from the tiles with a damp cloth or sponge to keep it from drying on them. When the glue has sipped in, place some more into the grout lines. Keep repeating this process until you have a sufficient amount of glue under the tile. Ensure that you leave no glue in the grout lines when you finish. You can wipe them clean with a damp sponge. Next you will protect the tile with a towel and then place some weight on the tile. Let it sit undisturbed for about 24 hours. Afterwards check to whether there is movement in the tile when you step on it. The next thing is to replace the grout. Grout cracks because of various reasons. Incorrectly mixing the grout is a common reason as is a lack expansion joints. The floor or tile surface could also be experiencing movements and this results in cracked grout. You’ll first get the grout out with a grout saw, spinning tool or whatever tool you have available. Once you have it all out in the problem area, then you need to vacuum out the dirt and dust. Next mix your sanded grout to the right consistency. This should be as thick as peanut butter or as recommended on the package. Apply the grout at a 45 degree angle to the grout lines making sure that there are no spaces left. Go over the area back and forth so that you have the right amount of grout in the grooves. The grout will set quite fast and before it does use a damp sponge to wipe off the excess from the grooves and the tile surface. Allow the grout to set and you are good to go. 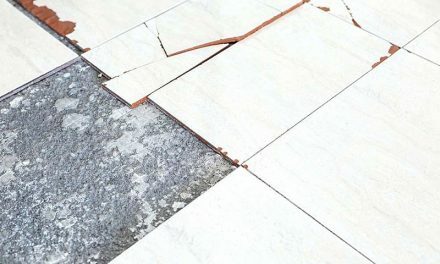 These are just a few ways of repairing loose tiles and cracked grout. They are quick fixes when there is no underlying serious problem. However when there is a serious problem it will need to fixing by a professional. Such problems include the wood floor underneath shifting, or damage in the concrete underneath the tiles. A quick fix will only be a short term solution in such cases.